Eyephy.com is a mobile responsive, custom WordPress website that Netmagik designed and developed. 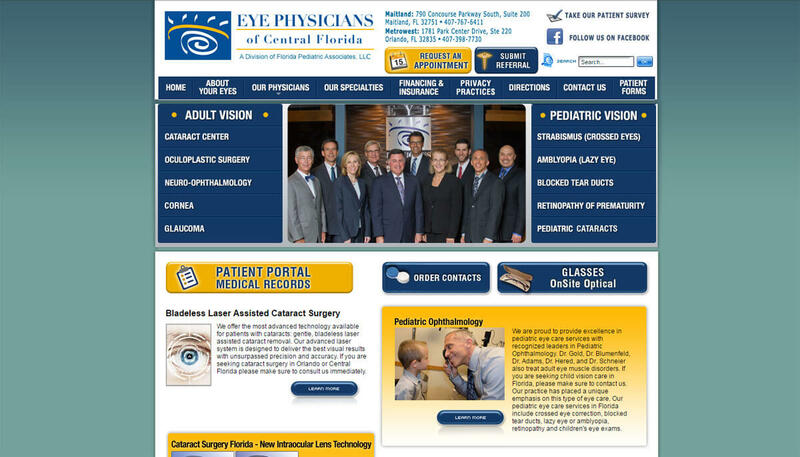 With advancing technology and the rise of social media, Eye Physicians needed to redesign their website to align with the goals of the business and the target audience. 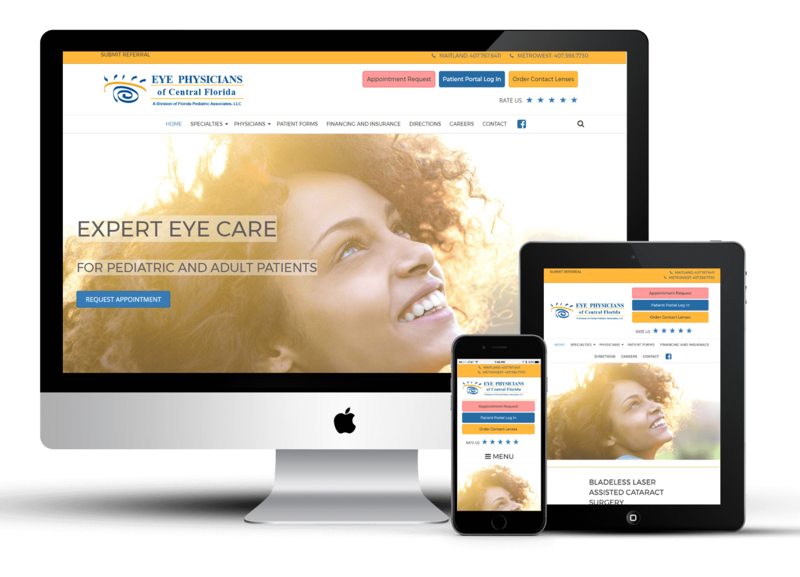 The goal was to create a mobile-friendly website, where patients can securely book appointments, look up information about the practice, find directions, order contact lenses, print patient forms, and provide answers to common questions to free up staff from answers to repetitive phone inquiries. Custom forms were developed to Book Appointments and Submit Referrals. Numerous redirects were created to redirect pages from the old website to corresponding pages on the new website in order not to loose SEO ranking in Google. Request an Appointment form is customized, displaying the list of doctors, based on the office location chosen. Directions Page is connected with Google Maps. There is also Careers section with available positions listed. Patients are able to login to their Patient Portal through the website. There is a Search option available through the whole website so that patients can search for information.